Using the magic of theatre to find the storyteller in every pupil. Our workshops are now mobile! All our workshops can be run in schools with the same dedicated team of actors and creative writing tutors. Schools can book a specific one-off workshop or a course of workshops to complement and enhance the curriculum or just to inspire pupils to write better stories. Our schools’ workshops, which tend to be most effective for Years 2-5, follow the same 2-hour format and can be adapted to suit the requirements of different year groups. Our workshops cater for a maximum of 15 children. So for larger class sizes, we can run the same workshop twice on the same day (or a different day, if required) to ensure that every child in the class gets the most out of our inspirational team. By taking story writing out of the classroom and bringing the energy, comedy and visual performance of the stage into the school, we are able to entertain pupils while they absorb the power of words. 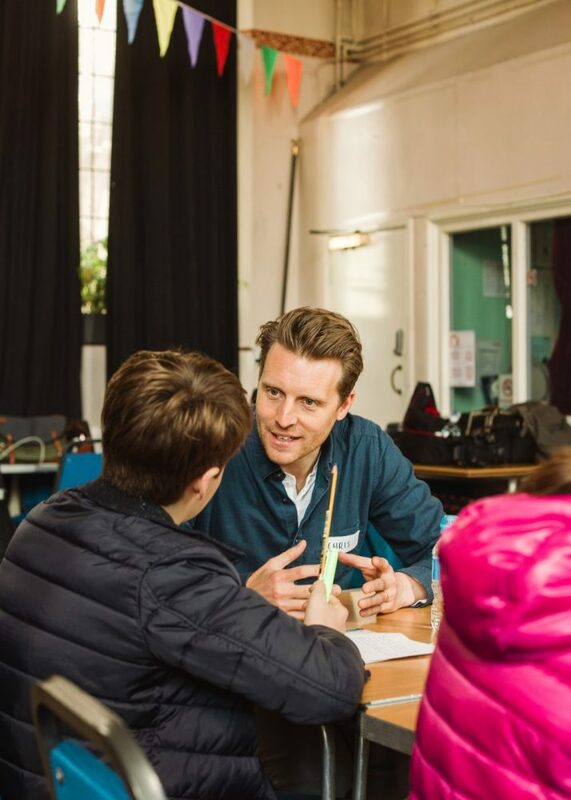 Our objective is to ensure that all children attending our workshops – from budding authors to those daunted by a blank page – leave inspired and compelled to put pen to paper. Although our workshops are theatre based, we don’t need a stage to run them. All we need is a space – a gym, a dining hall, a spare room – our actors bring the rest. If you would like to find out more or book a taster workshop for your school, please click here.